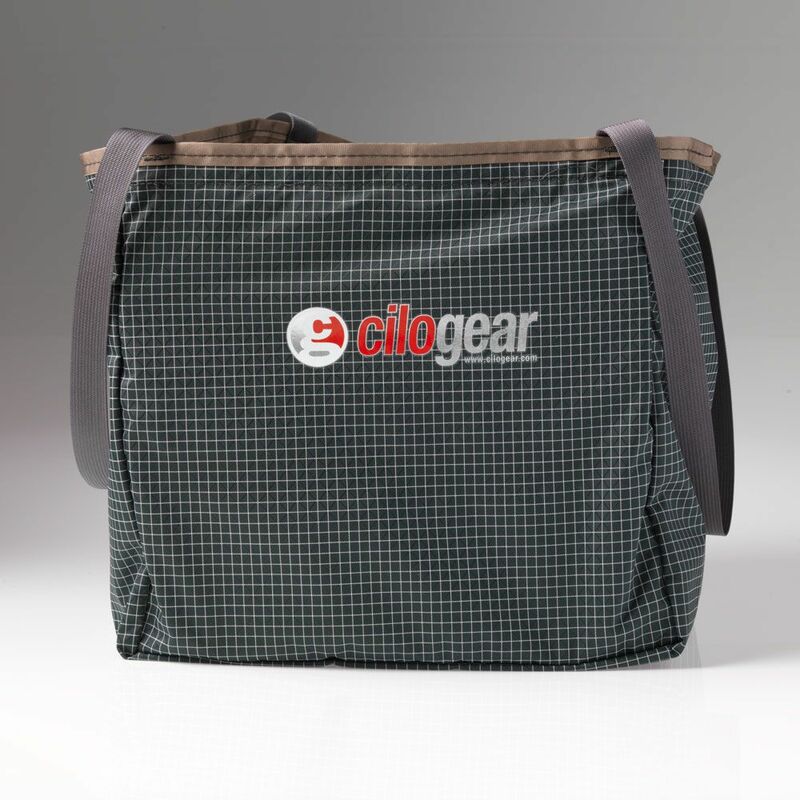 CiloGear's limited edition ripstop gym tote takes our old materials, which would have gone into the garbage, and turns them into donations for our local environmental non profit law firm! At under 6 ounces, these light totes are still super burly with our proven 210d Dyneema ripstop that we used in packs for over a decade. These roughly 12"h x 14"w x 13"tall totes come with a handy zipper pocket that will fit modern phones and two stretch pockets for some organization.